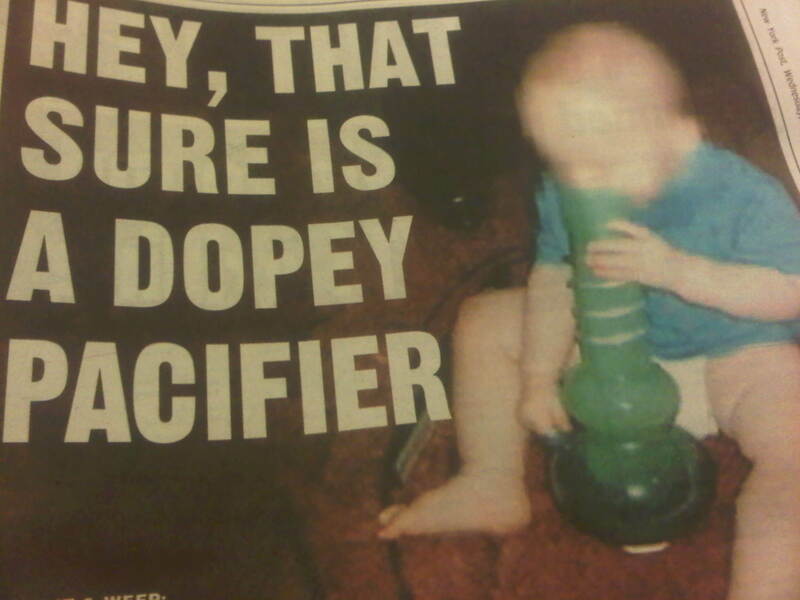 When i see this picture in the paper all of a sudden i thought: BONG GONE WRONG!!! and envisioned a mom in jail and her baby taken away and being raised by strangers due to her stupidity! The mom was also arrested and let out on bail last month for possession of drugs.. the bail was $502 (weird amount but anyway…) Mom defended her actions by saying that she would never put her baby in danger, there was no tobacco in the pipe and she posted that pic to show “one f****g person” and it got blown out of proportion ..she whines that now everyone is bashing her for what she did. well you know what .. if your baby gets arrested for selling and doing drugs when hes older im sure he will think its funny if he has your sense of humor THAT IS ALL!! Tattoos rule .. take that society! !